Out of the many SEO tools, Google Webmaster Tools is one of the most useful. It doesn't have all the perks of commercial SEO suites and it is not a tool for any SEO need but it comes from Google itself and it offers lots of vital SEO insights. All these are good reasons to start using Google Webamaster Tools (if you are not already doing it, of course). It is hardly difficult to guess from the name itself that Google Webmaster Tools is a set of tools for webmasters. 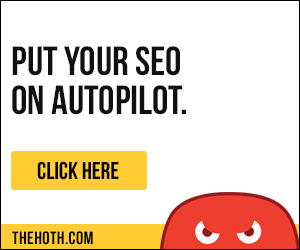 However, what you don't know right away is that this is a very useful toolset that allows you to communicate with Google and adjust many aspects of how Google sees your site, such as list the external and internal links to your site, adjust the crawl rate at which Google bot indexes your site, check the keywords users typed to land on your site, as well as the click through rate for each keyword, see your site's statistics, and many more. One issue that needs mentioning is privacy concerns. Since you are giving Google a full access to your site's stats, you might be worried about how they handle this data. While Google is a reputable company and it is not very likely they will abuse the data you are giving them access to, if confidentiality is a top concern for you, think twice before letting Google (or any other statistics solution, for that matter) to your site's secrets. In order to use Google Webmaster Tools, you need to join it first. You can do it from here. After you join, you need to go through the verification process, so that Google knows you are the legit owner of the site you want to use Google Webmaster Tools on. There are several ways to verify ownership. The first one is to download an HTML file and to upload it to the root directory of your site. Another one is to add an HTML tag into the head of your home page. If you are using the same Google account for Google Analytics, a third option to verify ownership is through Google Analytics. There are more ways to verify ownership but if you are interested in them, check the Google Webmaster Tools settings and you will see them. From here you can access all the major sections - Search Queries, Links to Your Site, Crawl Errors, Keywords, and Sitemaps. Clicking on any of these will open the respective section. This long list shows which keywords users searched for when they came to your site. It is best if this list matches the keywords you are optimizing for but very frequently this list contains good keywords you were unaware of. In this case, pick these good keywords and start optimizing for them, too. In the Search Queries section, you can also see the number of impressions and the number of clicks, which gives you an idea about the CTR for this keyword. All equal, a higher CTR means the keyword is relevant, so you might want to invest some more efforts into this keyword. However, if you notice that as a result of your efforts, the CTR goes down, it is best if you don't touch this keyword anymore. The second very useful section of Google Webmaster Tools is the Links to Your Site section. Here you can see where your backlinks (internal and external) come from, as well as the pages they are linking to. As with other link checking tools, don't expect that every single link to your site is displayed but nevertheless this list of backlinks is useful to check from time to time. One of the advanced uses of the Links section is to disavow links to your site you deem harmful. Links from bad sites can hurt your rankings, so if you want to get rid of them, follow the instructions in this article. The Crawl Errors section shows the errors Google bot encountered on your site. The data you get is similar to what you get when you use the Spider Simulator and it shows inaccessible pages, missing pages, server errors, and all sorts of problems that prevented Google from correctly crawling your site. You also get some other crawl stats (such as the number of pages crawled a day) that are useful to know. Similarly to the Search Queries section that also deals with keywords (but it is the ones users type to get to your site), the Keywords section also shows keywords. However, the difference is that here you see what keywords (and their significance) Google has found on your site. The two lists (of keywords users type and the keywords Google finds on your site) could be very different, which means you are not optimizing for what users are searching for. The Keywords section also allows to see the theme of your site, which post Panda has become even more important. The last section you can access from the Dashboard is the Sitemaps section. Here you see the sitemaps of your site Google has found and the number of URLs in them. If the sitemap found by Google is different from what you expected it to be, you can submit a new sitemap for Google to use. The sections described so far are the basic Google Webmaster Tools sections. There is also a lot of advanced stuff in each of them but we won't describe it into details. For instance, you can use your Google Webmaster Tools to submit a robots.txt file, or to set the preferred domain syntax (i.e. with or without www) to be displayed in search results. Google Webmaster Tools also allows to know if your site is infected with malware. If it is, you need to clean it first and then resubmit it for review. Google Webmaster Tools is a really valuable instrument for SEO. It gives you at a glance data about all important SEO aspects of a site, such as keywords, links, crawl errors, etc. If you don't use it already, take the time and get familiar with it &dash; it will help you get better rankings for sure.